Our Group Lessons are based on the IKO lesson plan to teach you all basics from total beginners up to practicing the waterstart. IKO level 1 & 2 should be your choice to create a good foundation. 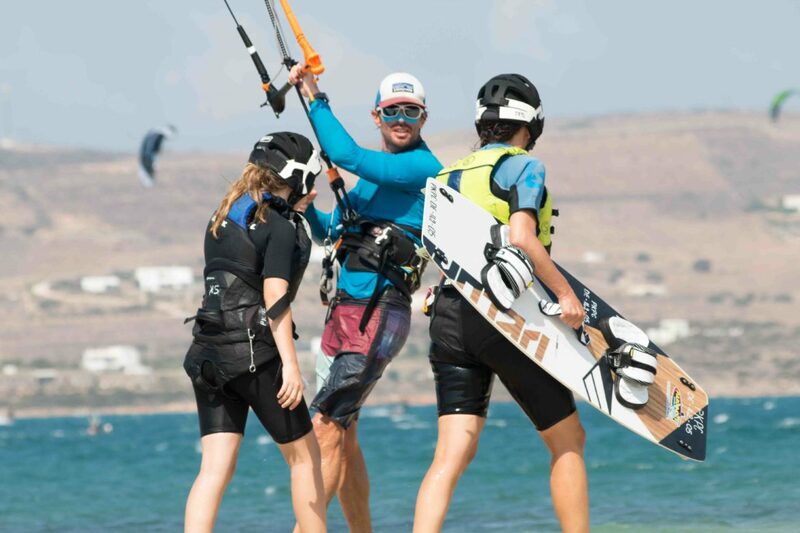 One IKO instructor holds our Group Lessons with 2 students on one Kite. 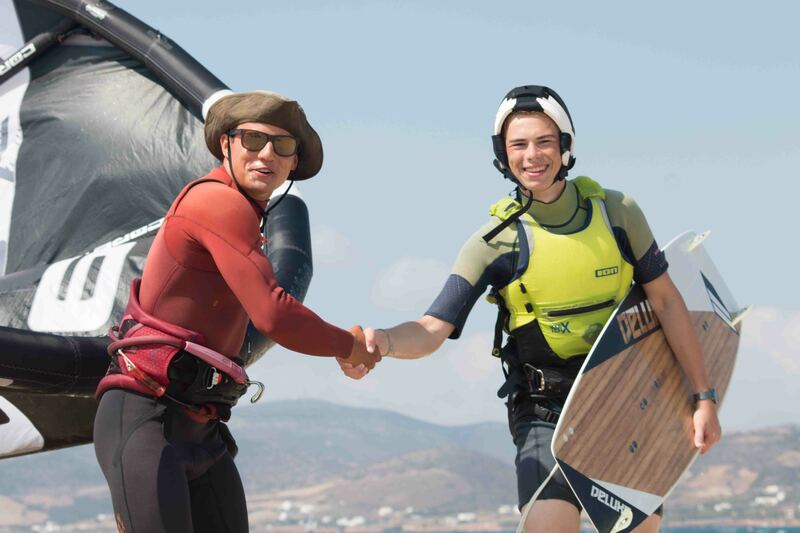 The International Kiteboarding Organization (IKO) splits the way to learn how to practice Kiteboarding in 4 levels. Level 1 Discovery, Level 2 Intermediate, Level 3 Independent and Level 4 Advanced. In this small group of 2 students in IKO level 1&2, you get all theoretical and practical exercise to be able to handle the equipment, do the setup, fly the kite with safety, enter and exit the water with the kite in the air, control the kite with the board on your feet and practice watersart. After this course you can either to continue in a group or in private lessons to practice riding in all directions including upwind to become an independent Kiteboarder. All students are certified with the IKO according to the level they reached throughout the course. Invite your friends to a joying you they will never forget! We provide all of the equipment, personalized instruction, and all the fun! Please contact us for availability and pricing discounts. Ages 8 and up. Group lesson with 2 student to instructor ratio. 2 student to instructor ratio.